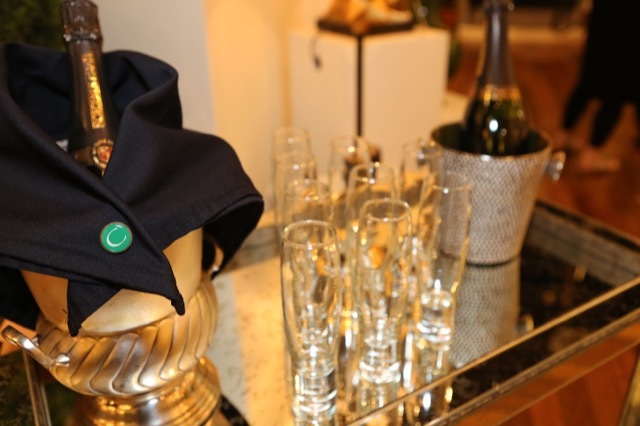 The corks will soon be popping in the Currey & Company High Point showroom! Photo by Beth Tilley Green. Are you ready to once again toast fabulous design? 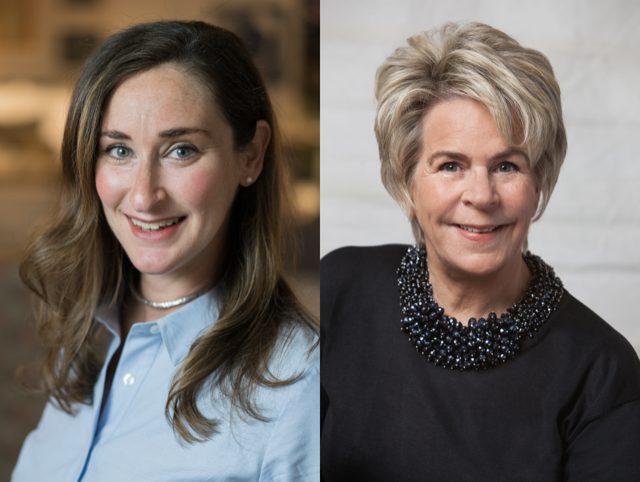 The cogs in the wheel that make spring High Point Market spin are grinding into motion as I post this, the giddy atmosphere of pre-market busyness creating a centrifugal force that draws all of us to North Carolina like fireflies to an inky summer sky! 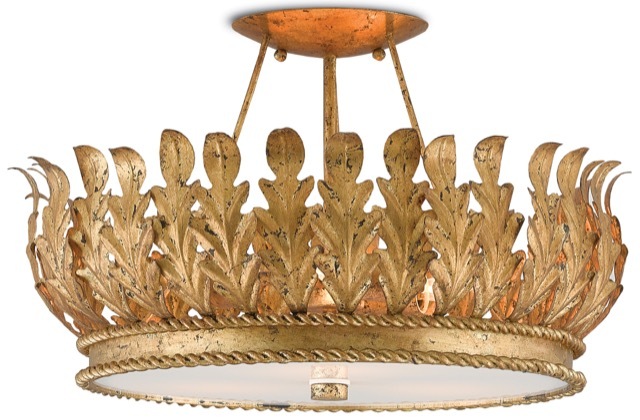 The Berkeley chandelier by Bunny Williams for Currey & Company was inspired by an antique Swedish bed corona that Bunny envisioned as a light fixture. There’s a jam-packed itinerary in store for Currey & Company fans from April 21st through April 26th so stop by IHFC M110 on Main Street and say hello. I’m giving you a rundown of the highlighted events in this post but you can come by any time to enjoy the bubbly, the music and the fabulous introductions of lighting and furniture. 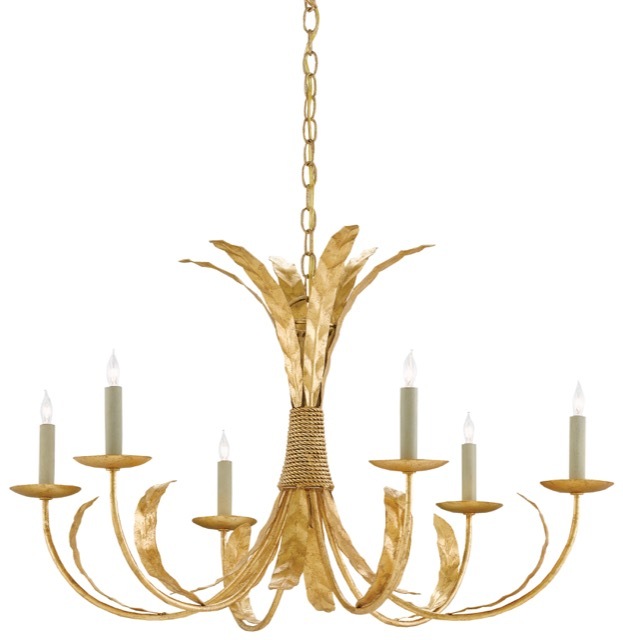 Bunny loves the natural feeling of the Bette Chandelier—a simple bundle of leaves tied with a rope but with such great style! Audrey Margarite and Bunny Williams of Bunny Williams Home. 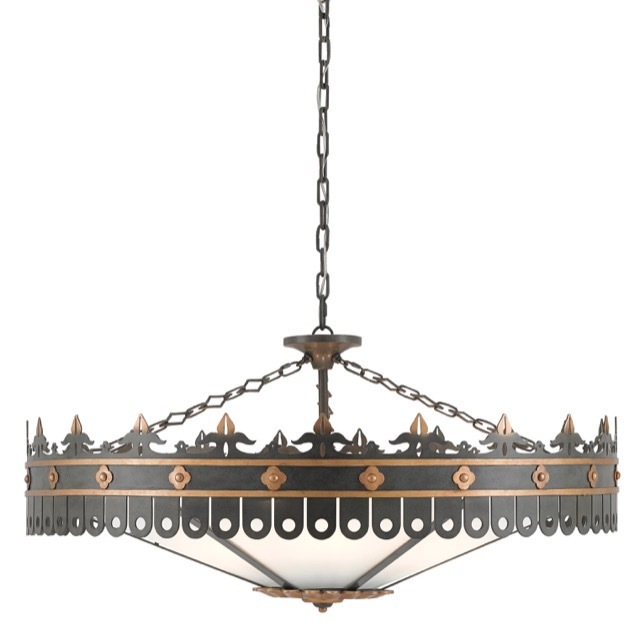 The Biddulph Semi-Flush Mount was inspired by a Neoclassical fixture from the 1940s. There are several fabulous events we’ll hold to salute the release of The Bunny Williams Collection: “Bunny, Books & Bourbon” takes place on Thursday, April 20th from 4 to 6 p.m.; and “A Celebration of The Bunny Williams Collection” will take over the showroom on Saturday, April 22, from 3 to 5 p.m. during which James Swan will be live podcasting. Take the time to listen to his interview with Bunny Williams; it’s quite inspiring! Our Preview Day will kick off at 8 a.m. on Friday, April 21st. 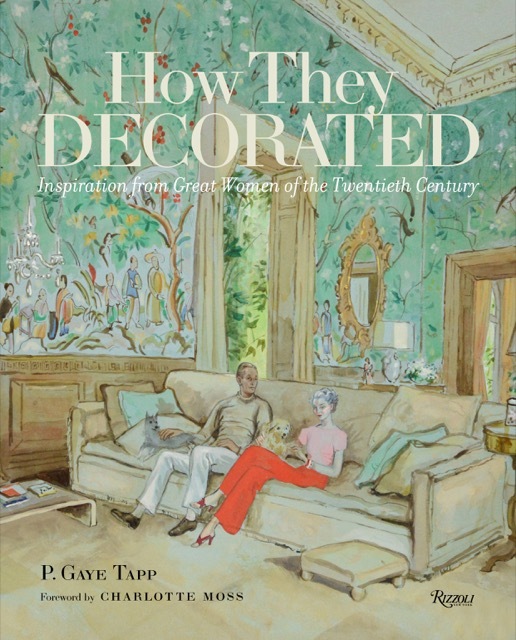 And on Sunday, April 23rd from 3 to 5 p.m., we’ll have P. Gaye Tapp signing her book How They Decorated: Inspiration from Great Women of the Twentieth Century. 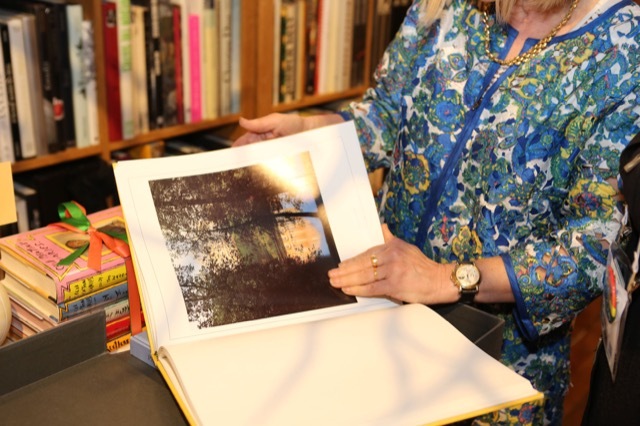 The author of the popular Little Augury blog will discuss her beautiful book published by Rizzoli that includes style icons like Bunny Mellon, Hélène Rochas and Vanessa Bell (to name a few). 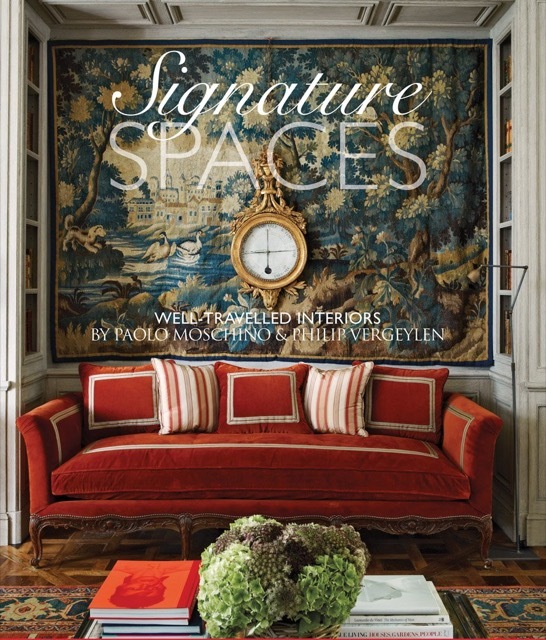 On Monday, April 24th from 3 to 5 p.m., Paolo Moschino & Philip Vergeylen will sign their newest book released by Vendome Press Signature Spaces: Well-Traveled Interiors. They will speak about what inspires them, which should be a fabulous experience given they will share with all of us how the pleasure they derive from seeing beauty takes them on a non-stop journey! You won’t want to miss either of our signings, as books will be available for purchase. And of course, the reason we’re all gathering for Market are the more than 200 new products we’ll be debuting. The showroom will be at its glittering best as we have live music daily, our usual festive food and libations, and Clare and Simon will be back with the Potterton Pop-Up shop. I just have to say I’m glad I’m driving now and not trying to figure out how to fit all of the fabulous titles I won’t be able to resist into my luggage! Potterton Books will be selling amazing titles at Currey & Company once again. Photo by Beth Tilley Green. Circling back around to Bunny, I remember an interview several years ago in which she described herself and her husband, John Rosselli, as bookends. I’ve always loved that sentiment given how much books inform my life! “We share a love of houses, collecting, gardens, dogs, and especially a love of people,” she told House Beautiful during the same interview. In celebration of their enjoyment of the garden and her affinity for bringing the natural world into interiors, I end this post today with a poem and a reading by Mary Oliver, whose poetry celebrates the outdoors more lyrically than any other poet’s work I have ever read. 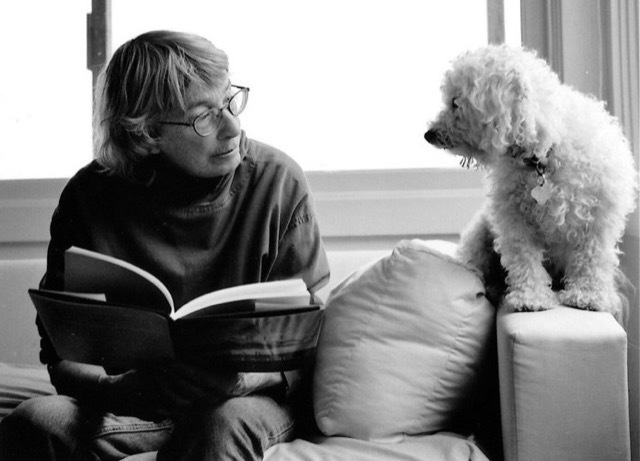 The poet Mary Oliver and one of her beloved dogs. Photograph by Rachel Brown. I wanted to thank the mockingbird for the vigor of his song. Every day he sang from the rim of the field, while I picked blueberries or just idled in the sun. Every day he came fluttering by to show me, and why not, the white blossoms in his wings. So one day I went there with a machine, and played some songs of Mahler. The mockingbird stopped singing, he came close and seemed to listen. Now when I go down to the field, a little Mahler spills through the sputters of his song. How happy I am, lounging in the light, listening as the music floats by! And I give thanks also for my mind, that thought of giving a gift. And mostly I’m grateful that I take this world so seriously. There is a wonderful video on Oprah.com in which Maria Shriver interviews Mary Oliver if you would like to learn a bit more about her. Happy Spring Market, everyone: come by and see us and we will make sure you get your just desserts (in the best possible meaning of that axiom, of course)! 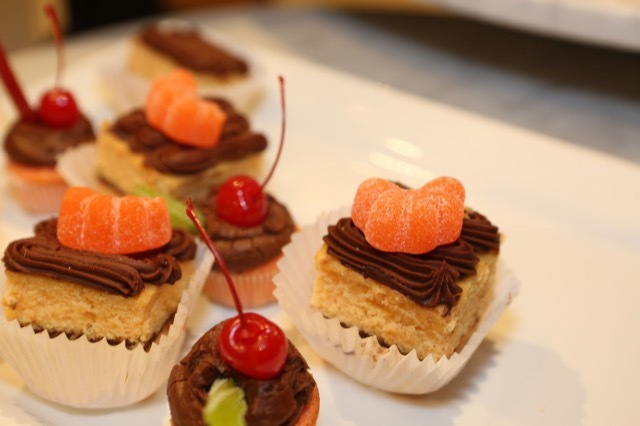 The food in the Currey & Company showroom, like these petite desserts are always scrumptious. Photo by Beth Tilley Green. This entry was posted in Currey & Company, Entertaining, Market, Products and tagged black, book signing, Chandeliers, design influencers, Garden, Gold, Lighting, Mid-Century, Natural on April 18, 2017 by Currey & Company.